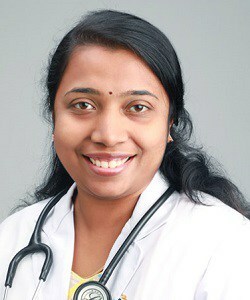 Dr. Monisha M.R. is an Associate Consultant – OBG & Infertility in Apollo Fertility, Annanagar, and Consultant in Apollo Medical Centers at T.Nagar and Mogappair. She completed MBBS from Kerala University in 2008 and MD – Obstetrics & Gynaecology from Aarupadai Veedu Medical College in 2015. Dr. Monisha M.R. has completed Fellowship in ART from International Association of ART, world laparoscopy hospital, Gurgaon in 2016. She has been trained in Assisted reproductive techniques and andrology, from Cleveland Clinic, USA.